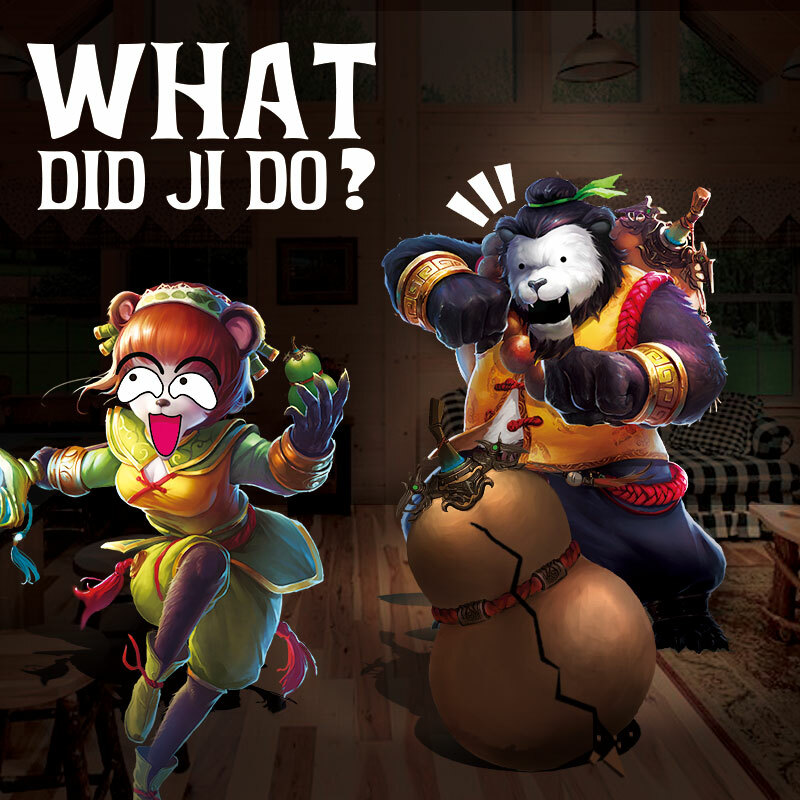 All submissions for the Caption Contest: What did Ji do? event may be made here. This thread will be heavily moderated, only compliments and submissions will be tolerated. Please be sure to read all the rules and information in the original post. 2. Your entry: Think of a clever, witty, funny or cute caption! See below for examples. Must be between 1-3 sentences (can be in dialogue format). Ji: I thought they were my wings...? "Ji dropped that thun thun." All eligible submissions (must follow all rules and requirements) will receive a small participation reward of 10 dark crystals! ONE WINNER, selected by our community team, will receive a special outfit as their prize. They will also have their caption put onto the image above and posted onto the official Taichi Panda Facebook and Twitter pages. You stole my warlord kill again !!!!! Omg! That my brand new bottle!!! Sorry it was heavy ! Panda: Ji what am I gonna do now? Ji: Silly panda don't you know I heal? Ji - hello daddy welcome home how was you're day ? Ji - you welcome daddy anything for you . do you need something else ? Panda - how was you're day sweetie ? Panda - sweetie? It's something wrong ? Can you please bring me my big "backpack" ( Taichi gourd panda wings) ? Panda - Ji !? Oh my god what happend to my gourd ? Who crack it ? Ji??? Ji - I don't know daddy ! Ji - I was in my room playing with my friends Borik , Undead Capitan and Nemeus , playing hide and seek , and I was trying to find Borik cuz it's bigger and easy to find and we was running and he throw you're gourd ( panda wings) at me trying to escape and I couldn't catch it and got cracked ... Im sorry Daddy please forgive us . Borik , Undead Capitan , Nemeus - We are verry sorry Mr Panda it won't happen again please forgive us . Panda - ok today you are punished Ji ! No more playing inside of the house with you're friends ! Understood ? Panda - and you three ? Panda - OK now go in room Ji and think on what you've done ! Ok and that's my story guys I hope you like my creation of pure fantasy ... Tell me you're opinion ... What you do you think of my ideea ? Peace . The hall lay quietly in darkness. His eyes opened. Had he heard something? His head turned into the darkness. The room was silent. He gave the room another glance then turned over to go back to sleep. My entry: On count of 3, ready or not I'm gonna hunt you.